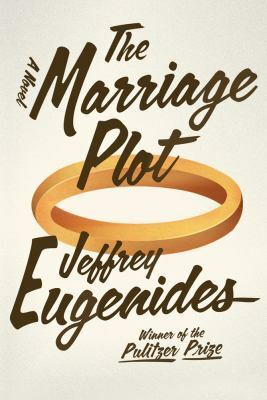 Eugenides developed three characters in The Marriage Plot that are all complicated and each has a desire that seems unattainable. Mitchell, who has a passion for religious studies, wants Madeline to be his wife. He’s wanted her since freshman year and now with graduation looming and him being no closer to his dream girl, he flies off to Europe with the goals to forget Madeline and work under Mother Theresa. Madeline is a beautiful girl with a deep interest in Victorian writers and their development of the marriage plot. Although she knows Mitchell’s desires for her, she is obsessively attracted to the dark and twisty Leonard. All Leonard wants is a normal life, which seems impossible with his diagnosed disorder. He knows Madeline is his only shot at his dream but his disorder continually gets in the way of their happiness. These unattainable desires will continue to consume their lives unless someone decides to let go of their dream. I really enjoyed this read by Eugenides, or at least I think I did. There are a lot of references to literary studies, biology, and religious studies because that is what the characters are each interested in. But I’m afraid a lot of it went straight over my head. Towards the end of the book, I started to skip over the character’s rants about their interests because its wasn’t really adding anything to the story. Especially Mitchell’s parts when he’s in Europe because of how much it made the story drag. I did enjoy how developed the characters were and the story line that linked them together. Angela and her brother Richard have never been very close. But after their mother passes away, Richard invites Angela and her family to take a vacation with his family as a chance to get to know each other. So begins the week of sharing a vacation home between Angela, her husband Dominic, their kids Alex, Daisy, and Benjy, Richard, his new wife Louisa, and her daughter Melissa. Each family member is lost in a little way and through the week they become closer to coming to terms with who they are. Whether its Dominic’s guilt for his adultery, Daisy’s reasoning behind becoming religious, or Melissa’s bullying that comes to a dangerous head with one of her school mates, everyone has a secret. And these secrets will either bring this extended family together, or drive them further apart. One of my favorite things about this book was that the reader got to see the point of view from each character. 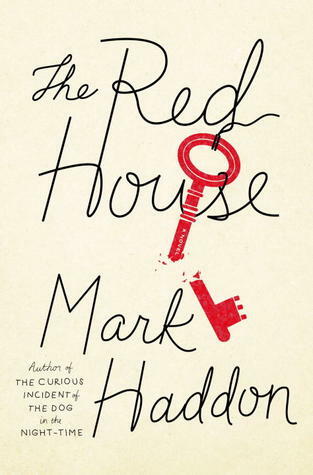 Haddon lets the reader know what each character is secretly thinking or longing for during almost every scene. But how he achieves this is what made the book difficult for me to read. Haddon switches the narrating character every few paragraphs. He never stays on one character for too long and sometimes doesn’t let the reader know who is speaking until the end of their passage. This made it especially confusing because there were eight different characters and storylines to keep up with. 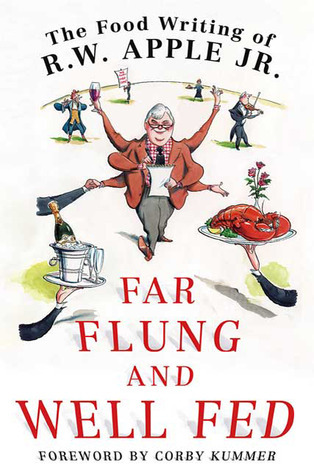 Far Flung and Well Fed: The Food Writing of R.W. Apple, Jr. | by R.W. Apple, Jr.
Far Flung and Well Fed: The Food Writing of R.W. Apple, Jr. by R.W. Apple, Jr.
Julia was absolutely right about this book! Read her review here. I had such good time reading it and didn’t want it to end. I, too, marveled at his knowledge of regional and local history and everything that’s food related. Apple writes and describes things so well that I can picture them easily. I literally drooled over his essays on food from Hong Kong, Shanghai and Singapore. These are the foods I grew up with. If you are a foodie, you won’t be disappointed with this book. 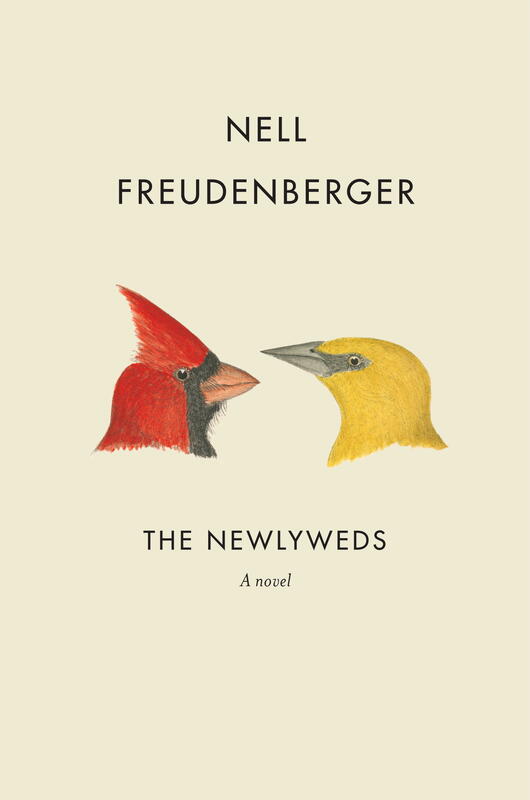 I first read the work of Nell Freudenberger in 20 Under 40: Stories from The New Yorker – she was one of 20 writers chosen by The New Yorker for their ability to “capture the inventiveness and the vitality of contemporary American fiction.” The short story of Freudenberger’s included in 20 Under 40 (“The Arranged Marriage”) appears to be the foundation for The Newlyweds. The novel revolves around a young woman from Bangladesh, Amina, who has always been enamored with the idea of living and going to school in America. Through an international online dating site she gets in touch with George who lives in Rochester, New York. After emailing regularly they come to the agreement that they will marry and Amina finally gets to see her American dreams realized when she moves to Rochester. Amina and George have a number of ups and downs thanks to miscommunication, poorly kept secrets, and the way the past keeps finding ways to reinsert itself in the present. I enjoyed The Newlyweds and thought the audiobook was very well narrated. This is a fun history book on American food trends in the 20th century. There are ten chapters with extensive bibliographies including books, articles and web sites and an index. The editor is Sherri Liberman, a librarian of course ;-). Each chapter gives an overview of the key cultural, economic and political events of that decade. 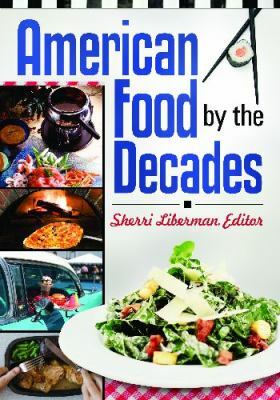 American Food by the Decades provides entries of the important food trends, institutions and individuals during that time period. I learned fascinating stories about food inventions, regional cuisines, restaurants chains, and famous chefs. It was fun to read about entries related to St. Louis – the food inventions that were introduced at the 1904 World’s Fair, gooey butter cake, and Ted Drews frozen custard. An informative and entertaining book. I highly recommend it. Fiction · In the Library · Julia P · Juvenile · Magic · Quick Read! 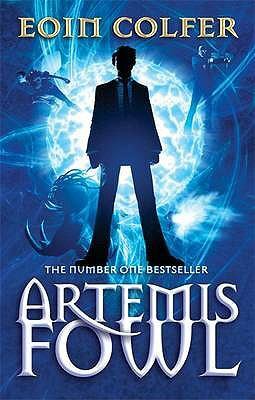 I’d heard plenty about Artemis Fowl but never really had any idea what it was going to be about. I started reading yesterday morning and was finished by the end of the night – definitely a quick read! Artemis is a 12 year old whose father has disappeared and whose mother locked herself in the attic immediately after. Determined to ensure his family maintains their wealth and status, Artemis sets out to acquire all the gold of the fairies. This is no easy mission, but given that Artemis is a genius, he discovers all the loopholes and ends up causing a lot of trouble. The “fairies” Artemis is working against are more than just fairies – they are all the magical people that have moved underground since the “Mud People” (read: humans) took over. This includes everyone from leprechauns and trolls to dwarfs and goblins. Holly Short is a member of the underground police force and she ends up getting caught up in Artemis’s scheme to acquire the gold of the fairies. Once it becomes clear that a human not only knows about the fairies but has a member of the underground hostage, the underground world jumps into action determined to rescue Holly and restore order. Like I mentioned, this was a quick read and I was easily drawn into it. I’ll certainly be reading the other titles in this series. This food memoir was definitely an engaging read. Alyssa Shelasky’s personality shines through in her writing – it seemed a little overwhelming at first, but then I just embraced it and went along for the ride. Alyssa didn’t start life out as someone with an interest in food. She never spent time thinking about what she was going to have dinner – food was a means to an end. That is, until she met “Chef.” A former Top Chef contestant who is never named (though rumor has it, “Chef” is Spike from Top Chef: Chicago – Season 4) enters her life and they have a whirlwind romance. They hit it off instantly and within months “Chef” convinces her to leave New York and move with him to D.C.
Alyssa goes along with it, despite leaving behind the life she knew, complete with friends, family, and a steady job. Once they are in D.C. Alyssa realizes she’s going to come in second to the restaurant – “Chef” will always put that before her. She feels that she is losing her sense of self and it is during this time that she turns to food and the idea of cooking. In this act she rediscovers her self while also embracing a new passion. 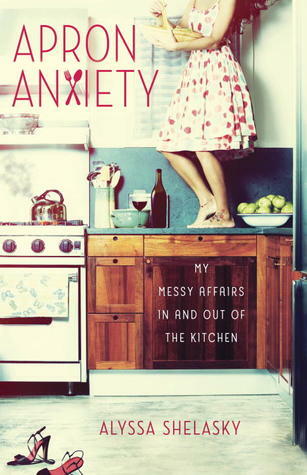 Shelasky takes us through the ups and downs of her new-found love of the kitchen complete with the ups and downs of her relationships. The one constant she learns she can turn to is the sense of satisfaction she gets when cooking.